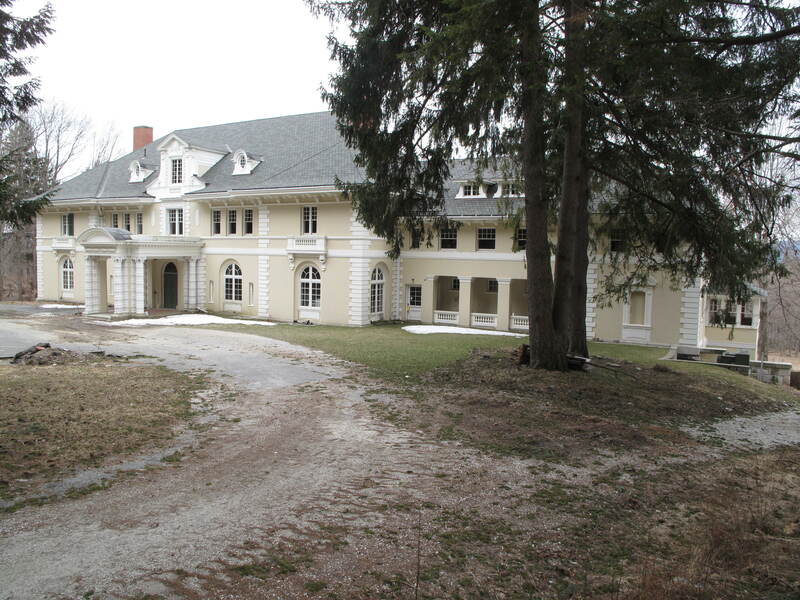 HISTORICAL NARRATIVE: Spring Lawn was built by John E. Alexandre in 1904 as a summer home. The house was built on the site of the former Sedgwick School for Girls. After Mr. Alexandre’s death, his daughter sold the estate to Mrs. Arthur F. Schermerhorn, who renamed it “Schermeer”. In 1957 the house was deeded to the Lenox School and subsequently became part of the Bible Speaks College. The Bible Speaks College conveyed the property to Mr. & Mrs. Jonas Dovydenas as a result of a lien initiated by Dovydenas. Between the years 1984 and 1985, Elizabeth (Betsy) Dovydenas donated $6.5 million to The Bible Speaks ministry. She also changed her will, leaving her estate to the ministry and disinheriting her husband Jonas Dovydenas as well as her children. In 1986 she and her family brought a lawsuit against Carl H. Stevens Jr. and The Bible Speaks, seeking to recover the $6.5 million. The court found in her favor, and the Bible Speaks declared bankruptcy and lost their property in Lenox Massachusetts. Carl H. Stevens relocated to Baltimore. 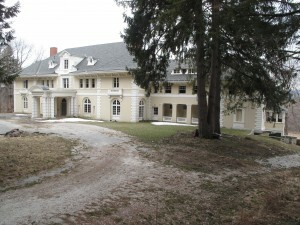 Elizabeth Dovydenas owned the property from 1987 to 1993. It was owned by the National Music Foundation from 1993 to 1999 and then owned by Shakespeare and Company from 1999 to 2005. It was purchased by James C. Jurney Sr. in 2005. BIBLIOGRAPHY and/or REFERENCES: 1905, 1911 Sanborn Maps; The Berkshire Cottages, A Vanishing Era. Carole Owens, 1984. P.155; Lenox Massachusetts Shire Town. David Wood, 1969. P.200; American Architect and Building News 10/14/1905; A History of the Lenox School Campus – September 2010  Henry F. Withey, AIA and Elsie Rathburn Withey, Biographical Dictionary of American Architects (Deceased)(Los Angeles: Hennessey & Ingalls, Inc., 1970) pp. 381-382.